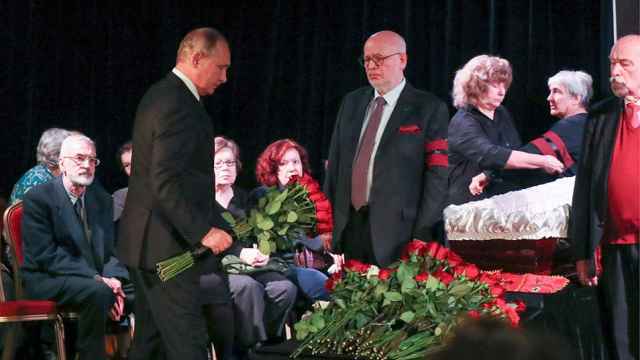 A mock gravestone for President Vladimir Putin appeared in St. Petersburg on Wednesday, in at least the third such display in the past two months. 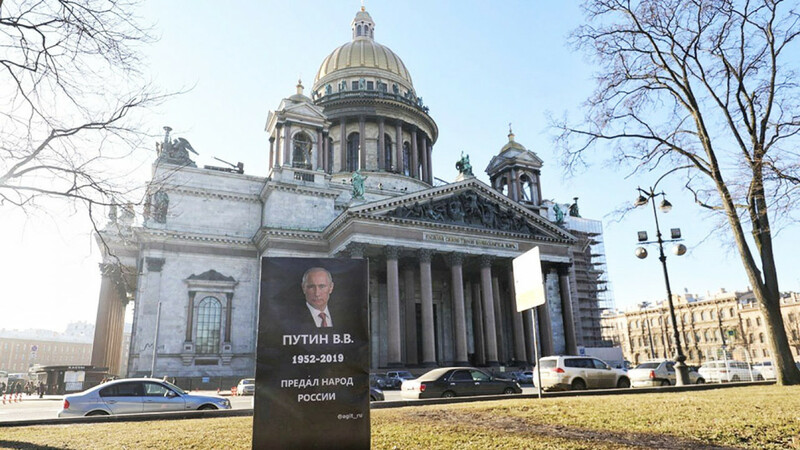 The headstone popped up near the iconic St. Isaac’s Cathedral shortly after an activist was sentenced to 15 days behind bars for placing a mock Putin tombstone in Kurgan region in February. 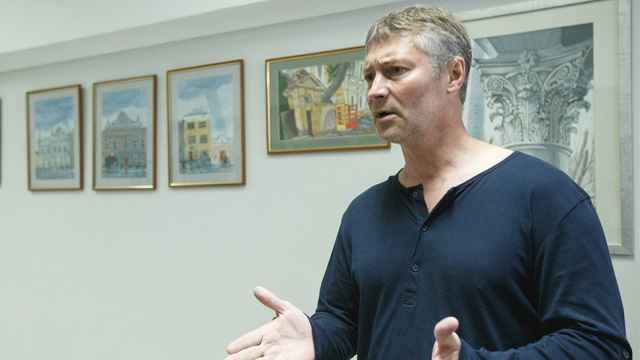 In March, two opposition activists were sentenced to jail for a similar prank in the republic of Tatarstan. 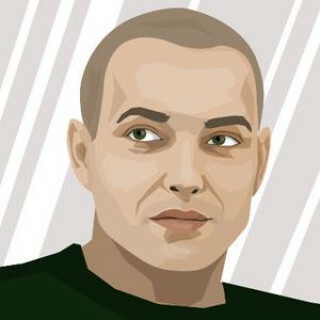 — Dave Frenkel (@merr1k) 3 апреля 2019 г. The “Agit Rossia” activist collective claimed authorship of the St. Petersburg installation, which included “1952-2019” — Putin’s birth year and the current year — along with the words “betrayed the people” below the president’s image. “St. 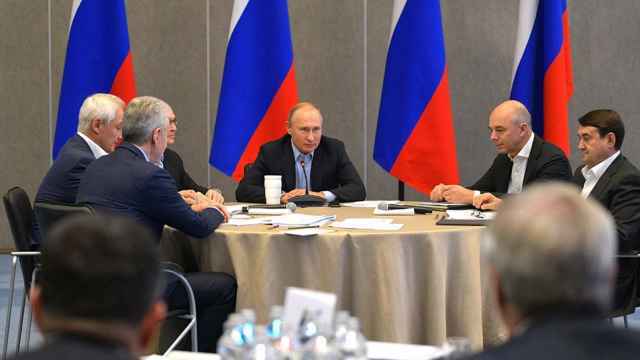 Petersburg took up the baton,” Agit Rossia tweeted on Wednesday. “For passing unpopular laws, constant lies and abominable leadership, Putin has died for the citizens of Russia,” it wrote. In addition to Kurgan and Tatarstan, similar headstones had appeared in Moscow and Berlin, according to the Moscow State University protest group’s Telegram messaging app channel. Russia’s Vkontakte social media website was accused of deleting photos of the Tatarstan Putin headstone in March.